ESPN 300 No. 5 Darnell Wright Headlines ESPN’s National Signing Day Announcements - ESPN Press Room U.S. The remaining top recruits will announce their college decisions live on ESPN’s National Signing Day coverage on Wednesday, Feb. 6, concluding more than 15 hours of television coverage across ESPN’s networks dedicated to the signature college football event, which now occurs in December and February each season. Five recruits rated in the top 60 of the ESPN 300 will declare their college commitment live, headlined by the three highest-ranked unsigned recruits: No. 5 Darnell Wright, No. 19 Jerrion Ealy and No. 39 Ishmael Sopher. Outside linebacker Henry To’oto’o and Athlete Kaiir Elam, the 47th and 59th rated recruits, will also make their announcements, marking 11 top 100 recruits to declare during ESPN’s 18-19 Signing Day coverage. Defensive end Isaiah Foseky, the 209th prospect, and wide receiver Devonta Lee, ranked as the 242nd prospect, will round out the announcements this year. National Signing Day Special Presented by Nissan will begin at noon ET on Feb. 6, with the first two hours on ESPN2 (noon – 2 p.m.), before shifting over to ESPNU for another 90 minutes (2 – 3:30 p.m.). Coverage then reverts back to ESPN2 for an hour long College Football Live (4 – 5 p.m.). The February coverage adds to the 11 hours across ESPN’s networks which aired on December 19 and featured nine total player announcements. 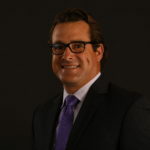 ESPN recruiting analyst Tom Luginbill will anchor coverage throughout the day, joined by college football analyst Jim Mora throughout the full duration of studio coverage. Recruiting analyst Tom VanHaaren will join the duo for National Signing Day Special, while college football analyst Trevor Matich will appear on CFB Live. Matt Schick will host both shows. Recently retired University of Miami head Coach Mark Richt will join the team in studio. Beginning Wednesday morning at 9 a.m. on SEC Network, Dari Nowkhah, Craig Haubert and Jordan Rodgers will live track the latest Signing Day news throughout the morning and early afternoon, with updates continuing during the Paul Finebaum Show at 3 p.m. The full day’s events will be recapped during the 11 p.m. edition of SEC Now. Texas head coach Tom Herman will address the media live on LHN with an overall recap of the Longhorns’ recruiting class at 3 p.m. ET Wednesday. In addition, Longhorn Extra this Week on Thursday, Feb. 7 at 8 p.m. ET will include a full rundown of the future of Texas Football with LHN’s Lowell Galindo and Ahmad Brooks. ESPN.com will cover National Signing Day from start to finish, starting with predictions for top uncommitted recruits and continuing with updated class rankings, breaking news and analysis throughout the day. Coverage will wrap with a look at the winners and losers from the day, as well as final class grades for the 2019 recruiting class.